No iOS 5 for iPhone 3GS/3G? 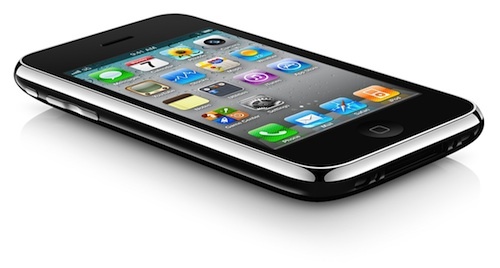 It’s rumored that iOS 5, the latest mobile operating system for Apple will not be available for iPhone 3GS/3G. iOS 4.0, released in June 2011 supports iPhone 3G, 3GS and iPhone 4. Still, some of the features in iOS 4, like the Personal Hotspot is not available in older hardware except iPhone 4. With the release of iOS 4.3, iPhone 3G is no longer being supported for future updates. iPhone 3G maximum operating system is iOS 4.2.1. Some iPhone 3G complain that their iOS 4.3.1 is very slow in their phone, prompting many to jailbreak their iPhone. iOS 5 is claimed to be a completely redesigned mobile operating system for Apple with many new features to come. Anyhow, it’s just a few days before we will know more about iOS 5 at WWDC 2011. Next story HTC Sensation is Available in Malaysia @ RRP RM2,299!!! Previous story Asus PadFone: A hybrid of Smartphone and Tablet, is slated to launch this Christmas 2011!! !